The Toyota Corolla is the best-selling car in the world, with over 40 million sold. But, for most of its life it’s been offered as a tame sedan. Those days are over, thanks to sporty hatchback version of the Corrolla, the 2017 Toyota Corolla iM. The Toyota Corolla iM is a brand-new model for 2017. It’s unlike any Corolla to come before it. No vehicle better suits the term “hot hatch” than the Toyota Corolla iM. The sport 5-door hatch back features a wealth of standard features including 17-inch alloy wheels, LED lighting, power heated mirrors, power windows, power door locks, cruise control, dual automatic climate control, a tilt/telescopic steering wheel, an infotainment system with 4.2-inch screen, a rearview camera, an audio system, Bluetooth and USB. A navigation system is optional. If you’re going for the “Fast and Furious” look, there are also dealer-installed accessories to be had. These include body ground effects, exterior graphics, interior lighting and more. 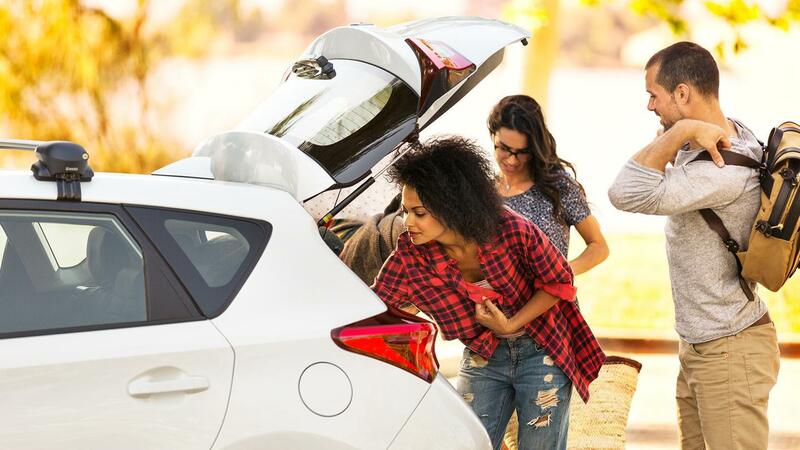 Thanks to its hatchback architecture, the Toyota Corolla iM provides 20.9 cubic inches of cargo space behind the rear seats. That’s enough space to transport whatever you need, whether it’s groceries or a couple of standard poodles. There is only one engine option available in the Toyota Corolla iM, but it’s a sweet one. The 137-hp 1.8L four-cylinder engine is equipped with the latest technology including continuously variable valve timing. Transmissions options including either a 6-speed manual or continuously variable transmission (CVT) with simulated 7-speed mode. Power is sent to the front wheels. Fun and efficiency blend seamlessly in this affordable, sporty hatchback. Handling is second only to a go-cart and the engine provides ample power for such a lightweight vehicle. The suspension soaks up road imperfections and the cabin stays whisper quiet. The 1.8L engine also provides plenty of power to propel the Corral iM through traffic. Of course, it comes as no surprise that fuel economy is stellar. The EPA-estimated fuel economy is *36 miles per gallon combined highway/city driving for automatic transmission model. 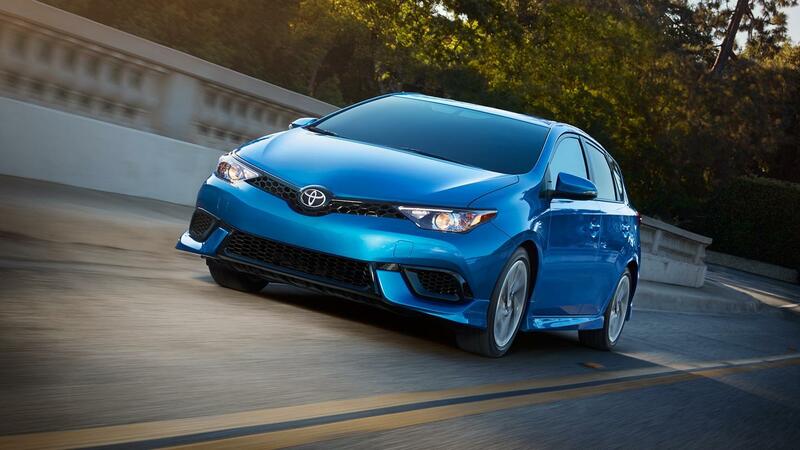 The Toyota Corolla iM is proof that big safety comes in small packages. All models get Toyota’s advanced Toyota Safety Sense C package, which includes pre-collision braking, lane-departure alert and automatic high beams – stuff usually only found in luxury cars. Other standard safety equipment includes eight front-seat side, side-curtain and a driver’s-knee airbag, anti-lock brakes, traction control, stability control and more. Worldwide the Toyota Corolla is known for being durable and economical. Now, thanks to the iM, it’s also known for being youthful and sporty. Take one for a test drive and you’ll see that dependable doesn’t have to mean boring.